The original skate banana that started it all. 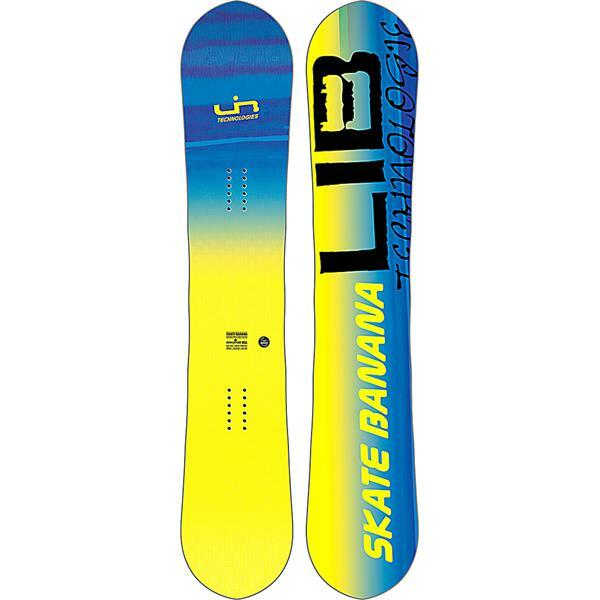 Lib Tech's award winning deck somes back year after year for a board that rips on the corduroys, through the parks, and floats in the powder. This true twin shape comes built on Lib Techs Original Banana camber profile which adds a reverse camber zone between the feet while adding a mild camber profile outside the bindings to the contact points. This adds a loose and playful feel while keeping a good edge hold together. Effortless edge hold comes from Lib's Magne-Traction edge that adds deep serrations through the edge for a grippy edge hold on icy terrain. All finished off with an extruded base for easy tunes and quick fixes.